Around August & September every year ‘The ‘Gathering’, the largest concentration of Elephants in Asia, create the World famous ‘Minneriya Elephant Gathering’. During the dry season from July to September, water supplies reduce drastically in this region revealing a tank bed where grasses grow. 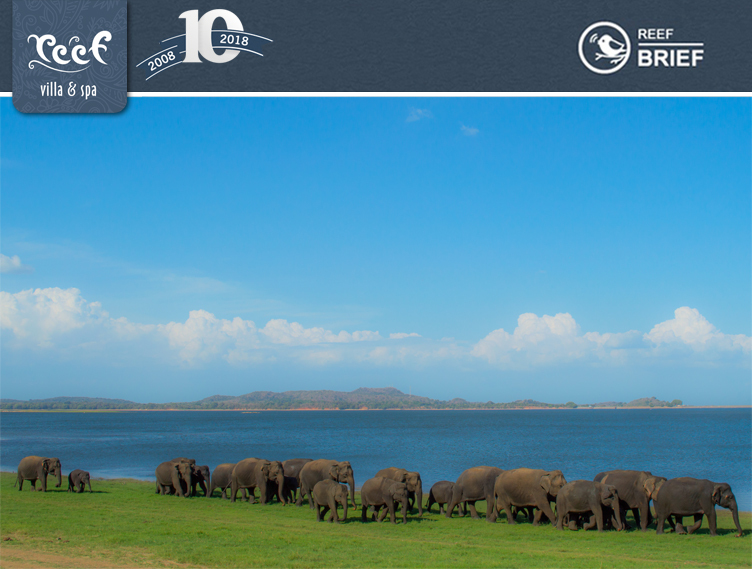 To find water the elephants congregate around the Minneriya reservoir where these grasses are rich and fertile. At times herds with numbers as large as 300 – 400 can be seen around on the grassland that grows on the receding shores of Minneriya Lake. The Elephant Gathering at Minneriya is the largest grouping of elephants at one time in Asia.